Silver facts with information and pictures. Things that you never knew. Silver is a precious metal that has had a number of different uses over the years, including jewelry, coins, silverware, electronics and photography. 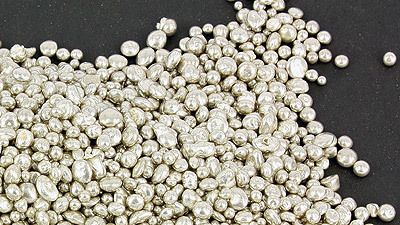 While silver is found on every continent of the world, the majority of silver being mined today is found in Peru and Mexico, where the metal has been mined since 1546. Silver is found in its pure form in nature. It also can be found alloyed with gold and other metals or in the presence of minerals, such as argentite and chlorargyrite. Most of the silver being mined today is a by-product of the production and refining process of other metals, such as copper, gold, lead, and zinc. Enjoy these amazing silver facts.